In-depth consultation, reporting and analysis of website traffic and usage. Conversion rate optimization to improve website usability and increase sales, leads and sign-ups. Clear, fully transparent reporting on the progress and performance of your web marketing campaign. Access to project tracking system, the same one we use operationally, so that you can monitor the work we're doing for you as it happens. 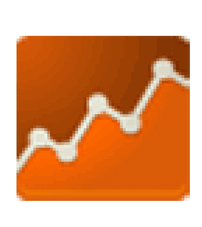 Google Analytics setup, configuration and in-depth consultation, reporting and analysis of website traffic and usage. Google Webmaster Tools setup and analysis to adjust how your site is seen on Google and to identify and resolve technical issues. Recommendations to refine and expand your web marketing strategy. A fully configured Google Analytics account will allow you to track how many people are visiting your site, how they're finding it and how they're using it so that you have the information you need to advance your web marketing strategy. Increase sales, leads and sign-ups from your website visitors. Resolve obstacles to conversion and improve website usability. Split testing to compare response to new design features and concepts. We've all been to websites that are a nightmare to use and navigate. It doesn't take long to give up on a site and look for a better one. We don't want this to be your website. You'll have access to project tracking system, the same system we use internally. Monitor progress of your work and track your web marketing campaign activity. This provides you with full transparency and detailed insight into everything we're doing for you. It's the same system we use internally to stay on top of all our projects so you'll be able to monitor what we're doing for you, as it happens. You can even participate within the system yourself. Now that's full transparency. To learn more about how we work and to help us better understand your web marketing requirements, contact us for a free, no-obligation consultation. We'll get to know your business and help you decide on the best strategy to achieve your objectives. Let's talk about your website!